(P2) My husband and I don’t want to have kids. That might change, but right now we’re happy with the way things are and want to keep them that way. You disagree. That’s OK. What’s not OK, however, is being DISRESPECTFUL of our decisions. (P3) What you want for us isn’t necessarily what we want for ourselves. (P4) I’ve never really been into kids, you know that. When I was a little girl, I didn’t like playing with dolls, and nothing changed as I grew older. (P5) You used to say that I’d change, that I’d wake up one day and want a baby. But years have gone by and that hasn’t happened. So you have started to accuse me of being selfish. (P6) But our decision to remain CHILD-FREE wasn’t made easily; it was PAINSTAKING. I’ve spent hours thinking about whether we should have kids or not. But the answer has always remained: No. (P7) I know that’s hard for you to understand. I know you want grandchildren. (P8) When I was a kid, you were a great mum, kind and caring, always so patient. But being a good parent means that at some point, you need to ACKNOWLEDGE that your child has become an adult, and as such, has the right to make their own decisions, even if you disagree with them. That’s all I’m asking you to do. I’m asking you to be a good parent and to treat us as your equals. Start showing your love by accepting and supporting our decisions, rather than trying to change them. Do you have children, or plan to? Do you think it is OK if a married couple decides never to have children? 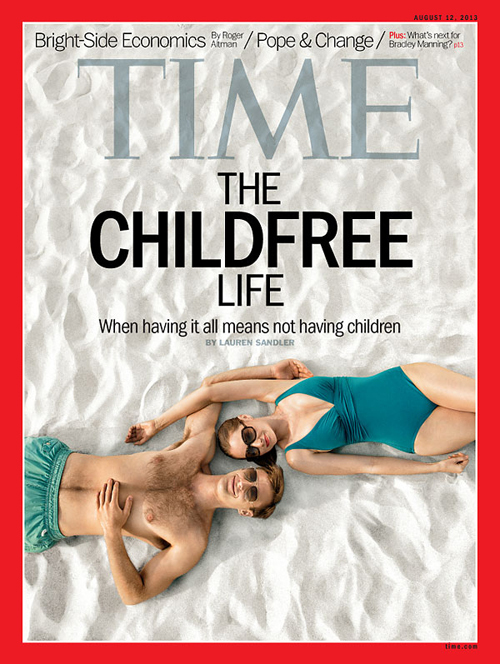 Why do people who decide not to have children call themselves “child-free” instead of “childless”? Have you ever felt pressure from your parents to make certain decisions? When you disagree with your parents, how do you handle the situation?